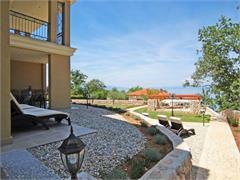 Villa Luce is a five-star luxury villa located in bay "Rova" on the Malinska Riviera. 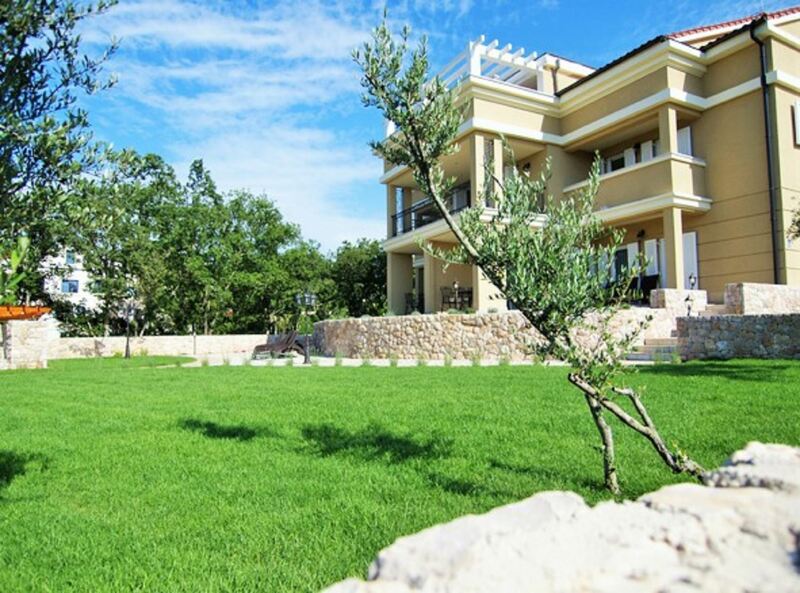 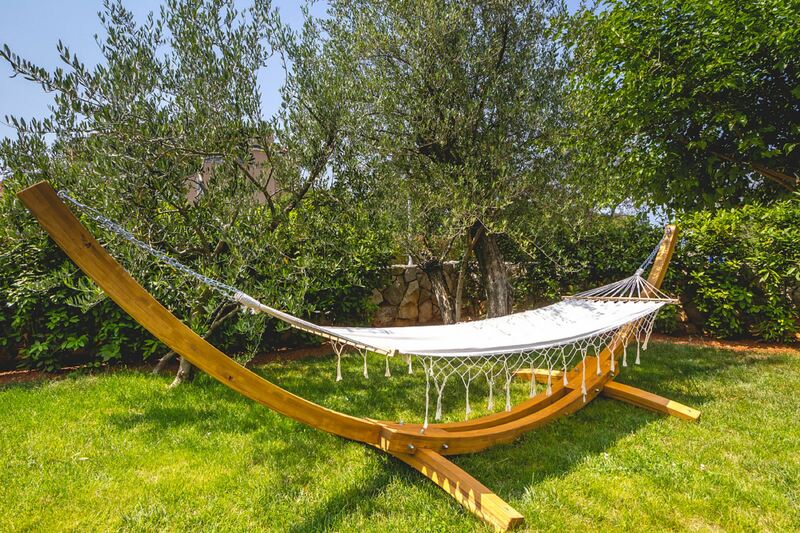 The villa is surrounded by olive trees and is positioned in the quiet surroundings directly by the sea, on the seafront promenade. 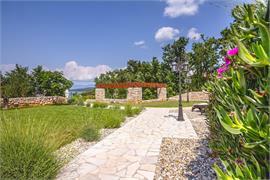 Landscaped garden is equipped with barbecue facilities, deck chairs and sun umbrellas and the crystal clear waters of nearby pebbly beach is only metres away. 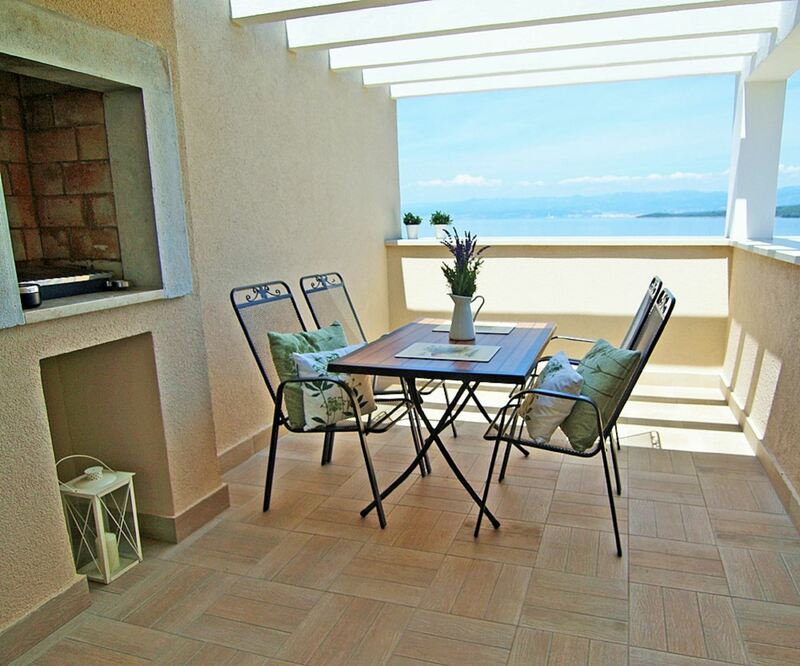 The centre of Malinska with its lively restaurants and bars can be reached in 15-minutes by leasurely walk along the scenic promenade or in less than 2 minutes by car. There is also a beach bar and a restaurant in a vicinity of the villa. This trully luxurious villa contains four spacious serviced apartments: 2 two bedroom apartments on the ground floor and 2 one-bedroom apartments in the attic. 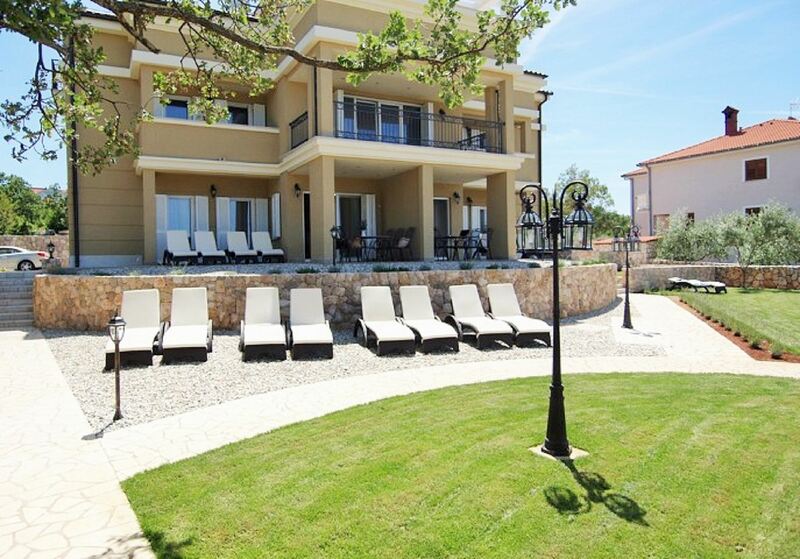 Apartments are tastefully furnished with a great attention to detail. 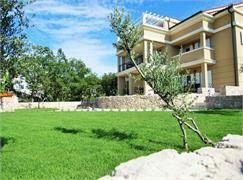 Guests of the villa may use a buffet breakfast and a buffet dinner of the nearby Hotel Malin (additional charge apply). 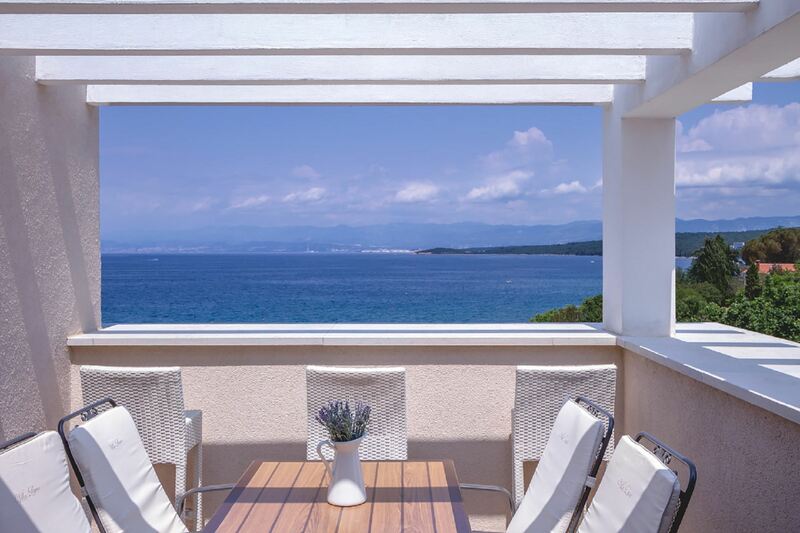 We were very pleased with the service we received from your travel agency, we had a pleasant email exchange and a very nice and helpful telephone conversation. We will book our next trip to Krk through your agency. 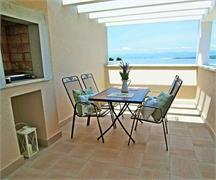 We enjoyed very much the apartment in the Luxury Villa Luce in Malinska and we can recommend it any time.